During my travels, I’ve discovered that one of the easiest and most enjoyable ways to take the pulse of a new location is through sampling local food. I love seeking out the unique flavors, tastes and experiences that capture the spirit of a cuisine and culture. My strategy: do pre-trip research; make a few key dinner reservations before I leave; ask around for local recs; and then just go with the flow! This is exactly how I organized a visit to St. Thomas last spring, when my husband and I had a few extra days en route to a friend’s destination wedding. 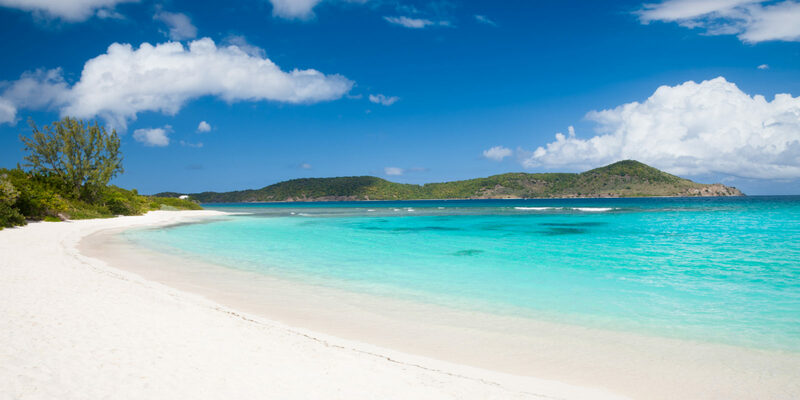 It was my first time visiting the U.S. Virgin Islands, and I was eager to explore. I’ve always been curious to see just how, exactly, St. Thomas could be both Caribbean and American, and what other cultural influences might have blown in with those famous trade winds. Over the course of a day, my husband and I savored local eats and experiences on the island’s East End. 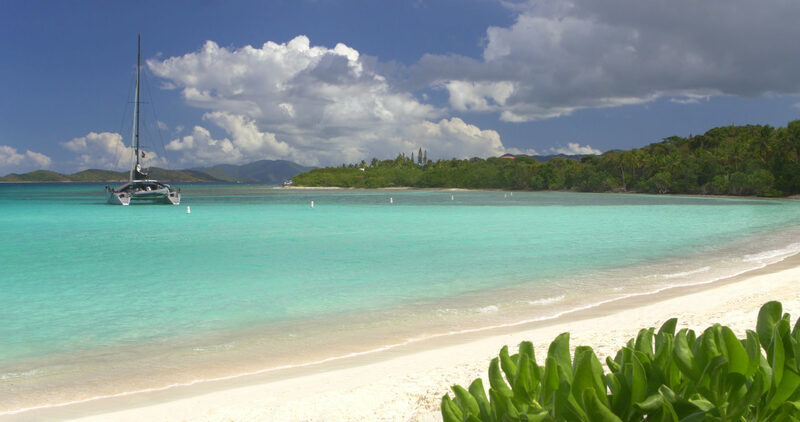 Anchored by Red Hook (where the ferries depart for St. John), the area covers the island’s easternmost edges and shores. It also served up plenty of local, memorable (and delicious!) moments that gave us a true taste of St. Thomas. As something of a tea enthusiast, I was charmed by Cup-N-Kettle even before I set foot inside — or on the front veranda, in this case. My pre-trip research recommended this proper teahouse for its distinctly Caribbean ethos. 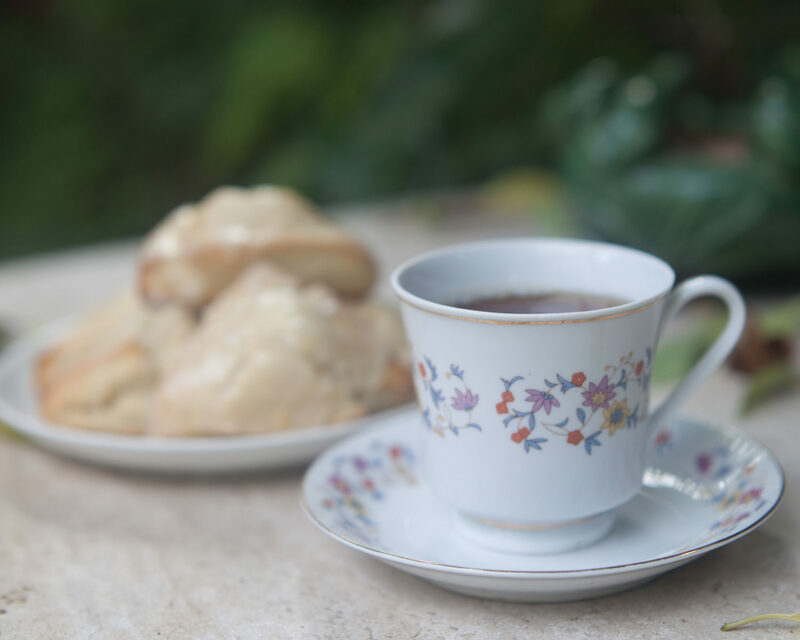 Sitting outside in one of the gazebos, sharing tea for two and a sampling of homemade pastries, taking in the gorgeous views of Nazareth Bay … what’s not to love? I suspect there are few finer ways to ease into a day on the East End. About those pastries: Trust me when I say that your biggest decision of the day is choosing between the scone with a perfectly tangy homemade lemon curd, a deliciously sweet coconut tart turnover or a slice of moist and decadent rum cake. We opted for all three, because isn’t that what vacation’s about? Each pastry came out flakey and beautifully presented. A hot cuppa tea was the perfect complement to our array of sweets. The teahouse proprietor, Evelyn Turnbull, often does the honors of pouring your tea. She serves traditional and distinctly tropical varieties in pretty porcelain pieces from her eclectic collection of tea pots, cups and saucers from around the world. We enjoyed the ginger peach tea, which delicately balanced the sweetness of peach with a refreshing bite of ginger on the finish. Don’t miss Cup-N-Kettle’s bush tea, which is a traditional Caribbean herbal tea blended from lemongrass, soursop, moringa, balsam and mint. Hydration is essential while vacationing in St. Thomas, so why not order a couple of iced bush teas to-go? A day in the East End would be woefully incomplete without visiting a few local beaches. Our master plan was to swing by Texas Pit BBQ in Red Hook as soon as it opened at 11 a.m. We’d pick up lunch deliciousness for later and then make a beeline for Lindquist Beach, which was recommended to us by several locals. This one-two combination ended up being an ideal pairing. Texas Pit BBQ, a local favorite for authentic, Texas-style ’cue from an Austin native, is take-away only, while Lindquist Beach is one of the few beaches on St. Thomas without any concessions. Located within Smith Bay Park, a 21-acre protected nature preserve, Lindquist Beach’s rugged, relaxed, natural setting is most definitely part of its charm, as is its gorgeous stretch of beach and calm, turquoise waters. After an hour or so of swimming and sunning, we retreated to the shaded picnic tables to feast on our barbecued chicken, ribs, brisket and sides — all perfectly flavored and reminiscent of lazy summer days in the American south. We found that sharing the 3-Way Combo was just the right amount of food for two. With happy, full bellies, we lounged contently for a while in the shade of the sea grape trees. You’ll find another location of Texas Pit BBQ in Wheatley Shopping Center in Charlotte Amalie East, just a few minutes’ drive from Marriott’s Frenchman’s Cove. For our last stop on the East End, we hit Coki Beach, as suggested by our taxi driver, Lisa. She described it as a local’s spot with everything you’d want or need for a great day — which sums up this lively beach scene to a tee. 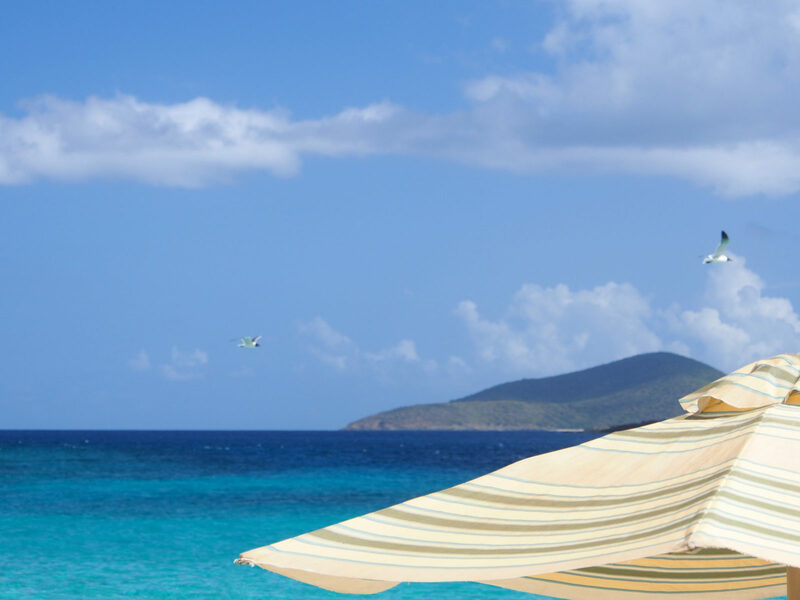 Coki Beach covers all the bases: beach chairs and umbrellas; snorkel gear; tasty eats; and frozen, blended concoctions (with or without a splash of rum). We arrived mid-afternoon, which was great timing since many beachgoers were already packing up to head home. Coki Beach is a smaller beach and can get quite crowded during peak hours. By four o’clock, however, the area had all but emptied out. Except, that is, at Uncle Buddy’s ramshackle beach bar — where the blender kept whirring and the friendly banter between locals, regulars and visitors never missed a beat. Banana daiquiri in hand, toes in the sand, I couldn’t help but marvel at how different but complementary each of our stops had been — a delicious taste of the East End, indeed. Driving on St. Thomas can be tricky, as it’s British style — aka driving on the left side of the road. For day excursions, forgo renting a vehicle and instead use local taxis, which are reliable, affordable and readily available.